Last weekend’s controversial Chuck Liddell vs. Tito Ortiz 3 event failed to produce in the pay-per-view department. 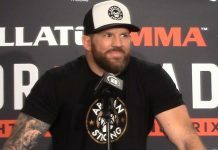 This according to the LA Times Lance Pugmire who recently reported that Chuck Liddell vs. Tito Ortiz 3 buys could be as low as 30,000. Industry source tells me the Liddell-Ortiz PPV buys may be as low as 30,000….but the Tiger-Phil golf might reach 1 million (all refunded, but a glimpse of what a low price can generate). 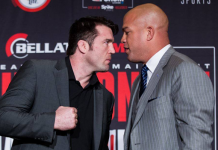 That is a far cry from the 200,000 pay-per-view buys the former UFC light heavyweight champions were hoping to obtain from their trilogy. 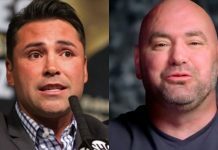 Adding salt to the wound is the fact that Yahoo Sports is reporting the Golden Boy MMA promoted event resulted in just 25,000 buys. 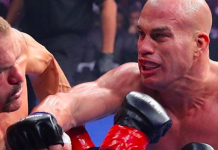 Tito Ortiz defeated Chuck Liddell in the very first-round of their fight last Saturday night in Inglewood. “The Huntington Beach Bad Boy” dropped “The Iceman” with a right hand and then promptly put him away with ground and pound. 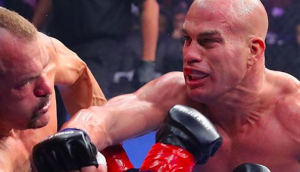 With the win, Tito Ortiz improves to 4-1 in has past five fights overall. 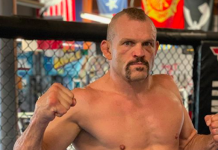 As for Chuck Liddell, the 48-year-old mixed martial arts legend has not tasted victory since defeating Wanderlei Silva at UFC 79. 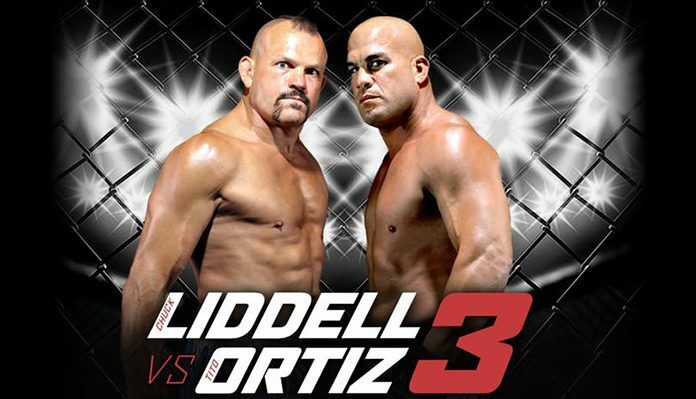 What did you think of last weekend’s Chuck Liddell vs. Tito Ortiz 3 fight? Sound off in the comments section PENN Nation!